Find gifts with unique and inspiring stories you’ll be proud to share. Presenting a few of our favorite choices for a range of personalities. Shore planter, $40: Glazed by hand in North Carolina each one displays unique variations in the shape of the walls. Meadow vase, $40: Each vase is slip cast from black porcelain then hand-dipped in matte white glaze for stunning contrast. 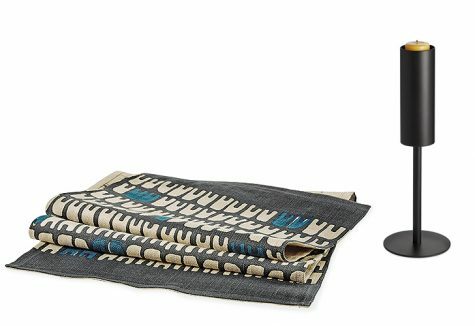 Row table runner, $149: Hand block-printed in Philadelphia, this table runner features a design that draws on archeological objects. Lucent candle holders, $45-$55: Welded in Minnesota, these candle holders are made of powder-coated, recycled steel. Brando leather trays, $35-$45: Made of domestic, top-grain leather stitched with cobalt blue thread, these trays are sewn in Connecticut. 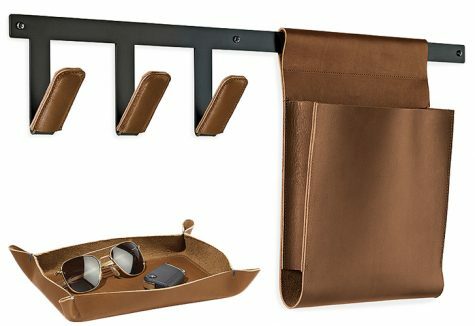 Squire multiple wall hook & organizer, $199: This unique solution for entryways, mud rooms or offices was inspired by a vintage messenger bag. 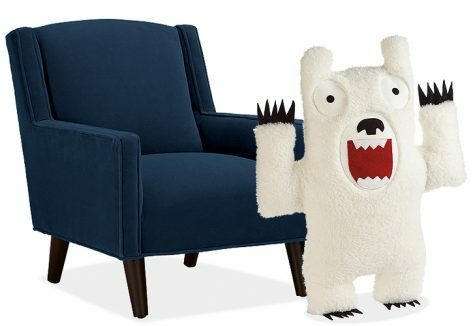 Indy Plush animals, $47-$69: Find a new buddy with these huggable pillows created entirely from sustainable and recycled materials. See even more gift ideas here or on our Pinterest boards.